Now Travel In Style With Modern Coast Express Deals and Discounts..
Get Ksh.100, Tsh.2000, Ugx.3000 or Rwf.700 Discount When You Book Online. Use The Promotional Code 'MODERNONLINE' In The Payment Page. Busia - Nairobi, Nairobi - Busia Morning Bus, First 20 Customers To Make Bookings Will Pay Only Ksh.600 per Ticket. Kisumu - Nairobi, Nairobi - Kisumu Morning Bus, First 20 Customers To Make Bookings Will Only Pay Ksh.600 per Ticket. Nairobi - Isebia, Isebia - Nairobi Night Bus, First 20 Customers To Make Bookings Will Pay Ksh.600 per Ticket. Back Bench Discounted Prices For Mondays, Tuesdays,Wednesdays and Sartudays on Oxygen is Ksh.1200 While Normal is Ksh.1000. 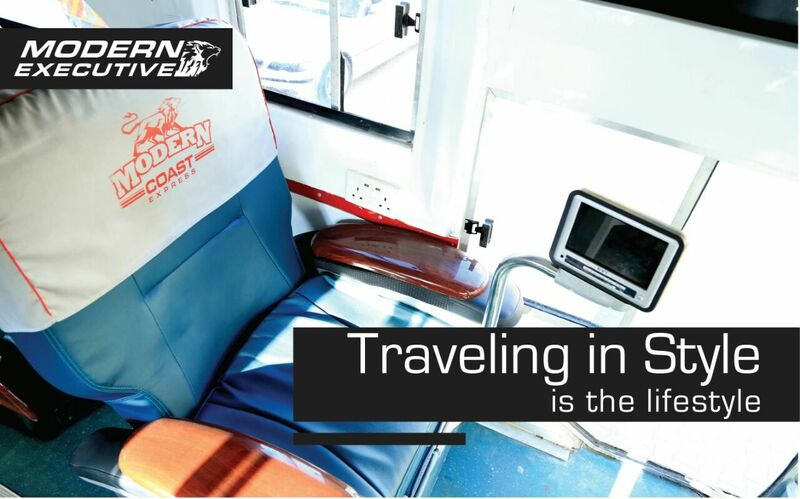 Modern Coast, Travel in Style...Terms and Conditions Apply..